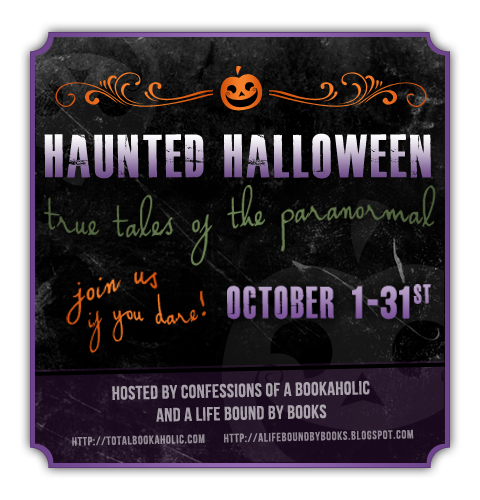 For the month of October, here at A Life Bound By Books and over at my co-hosts blog - Confessions of a Bookaholic we will be hosting a Comment Contest! We love comments, authors love comments and for each comment you leave on either of our blogs during our Haunted Halloween Event - will get you entries to win some great prizes!! How does it work you ask? It’s pretty easy – just leave a comment (one comment per person, per post) with your email address and your entered! Comment on as many posts as you’d like. The more posts you comment on, the more entries you get. Just remember, one comment per person per post and you must include your email address each time which lets us know you’d like an entry. October 1st (12:01AM EST) through October 31st, 2012!! ONE comment per post on this blog and Confessions of a Bookaholic counts. Comments count as extra entries into the giveaway for the prizes listed. One comment with email per post = 1 extra entry to win! No form required. As long as you leave your email and are eligible to win (at least age 13 and have a US address) you can enter! You MUST leave an email with each comment for it to be counted. Only one comment for each post will count. Comments can ONLY be for Haunted Halloween posts! No other comments will count! Copying and pasting comments WILL NOT be counted. Contest is US ONLY and ends October 31st. Once contacted the winners will have 48 hours to respond with their mailing address. Contest starts NOW so start commenting! Remember to include your email with each comment! Haunted Halloween 2012: Update's - Posts + Giveaways! COVER CONTEST RUNS THROUGH October 26th. Turn in your cover art by that date! Winner will be chosen October 31st. (J) Victoria Scott and an exclusive excerpt from The Collector. Are you ready for a month of scares? Join us for Haunted Halloween: True Tales of the Paranormal! Pssstt! Have you noticed what time of year is right around the corner? Some of you are already well-aware of Haunted Halloween, you know what crazy things are about to happen. If you are new to the event just >>>CLICK HERE<<< to see what we did during our 2nd year. Welcome to what's bound to be another spooky year to celebrate Halloween! 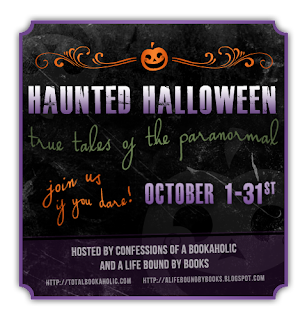 For our 3nd year of Haunted Halloween: True Tales of the Paranormal, Jessica (from Confessions of a Bookaholic) and I have been working tirelessly to try to make this year's event bigger and better! We've changed things up a bit to keep everyone on their toes and we think these changes will be extremely fun for everyone! Are you ready? We sure are!!! 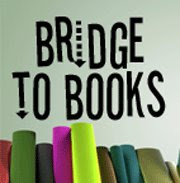 Last year we gave away OVER 150 books and featured OVER 65 authors. This year we are expecting it to do just that all over again! And, that's not all. We have added other giveaways to the mix. We have some incredible donations from a few "bookish" places too! We will again be hosting some of our large giveaways and also, we'll be including a new twist to this years "Create a Cover" contest. The Comment Contest will also run throughout October. Information on all of this will be posted over the next day or two. Just about everyday during the month on BOTH blogs will be some type of giveaway and more often than not, there will be MORE than just one. Ohhh, yes... TONS of amazing things are up for grabs! 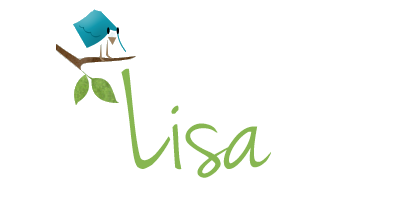 So be sure to check out each day during the WHOLE month of October as both blogs for amazing author guest posts and so much more! Most of those posts will have a giveaway attached. Those items were donated by the author, publicist or publisher. For the past two years we've had a twitter party and it has been insane! It absolutely exceeded our expectations and we had a blast. We plan to do that again this year and we'll have even more giveaways going on then. People will have the chance to answer trivia questions (related to the author posts) and win books or swag. We will post more details on that next week. Synopsis: Red-hot author Miranda Kenneally hits one out of the park in this return to Catching Jordan's Hundred Oaks High. Review: 5 Stars - Author Miranda Kenneally knows her way around fantastic young adult contemporary stories and characters. Stealing Parker is the companion novel to her freshman release Catching Jordan, set in the same school, town and with a mix of characters you’ve met before, Kenneally brings her realistic teen characters to life. Parker just wants to be a normal teen girl who loves to play soft ball. In a small town it’s hard to do anything without everyone knowing your business. So when her mother comes out as a Lesbian, Parker takes the brunt of the fall-out at school with many of her school mates making her life a tad on the rough side. Dealing with bullies, her own self image and trying to find her way in a new family dynamic is rough and even those at her church are making her life difficult. Parker's at a tough age and while those around her often make her life difficult, it’s her own choices that she’s forced to face that may be even more damaging to her. I liked reading about Parker. Her inner dialogue was honest and I often felt my heart breaking for her. She questioned things and it was during these times I wished she had someone to talk to about before jumping right into things she wasn’t totally set on. Without her mother in the house she’s closed off and then the isolation she feels at school due to the taunts of others just push her further down into herself. It’s not to say that she doesn’t have friends, she does; some great guys on the baseball team that she’s helping out taking down stats. I just wish she would actually see the friends she really has instead of trying to prove something. While I really enjoyed Catching Jordan, I loved Stealing Parker. This one had my emotions running a bit deeper for Parker and what she was going through. I felt that while she was dealing with her home life and the changes in her mom’s relationship with her father and her girlfriend, that I was the one who was listening to those inner thoughts. I just wish I could have been there to actually give her answers, some answers that she really needed. 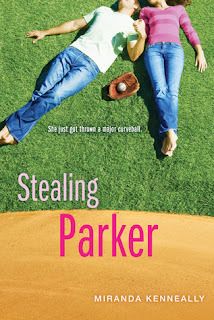 All in all Stealing Parker was a wonderful contemporary novel that I loved. Kenneally is a wonderful writer that, without doubt fans of the genre should welcome with open arms. There’s no question in my mind after now reading two of her books that I will always be excited and eager to read what she has for us next. I’m thrilled to check out next title which is also another companion novel – Things I can’t Forget, March 1st, 2013. Blog Tour - Who Will You Entice? - Book Review: Entice By: Jessica Shirvington + A GIVEAWAY!!! Review: 4 Stars - Entice is the thrilling continuation of the Violet Eden Chapters by author Jessica Shirvington. In this second installment Violet and the other Grigori (Half Angel, Half Human) are faced with and even bigger problem. With trouble brewing and revenge on a few minds it’s Violets turn to jump in head first and face issues and decisions from not only her past but the past of others close to her as well. It’s a whirl wind of a journey for all involved. In Embrace Violet had to dig deep and make some choices she wasn’t ready for. 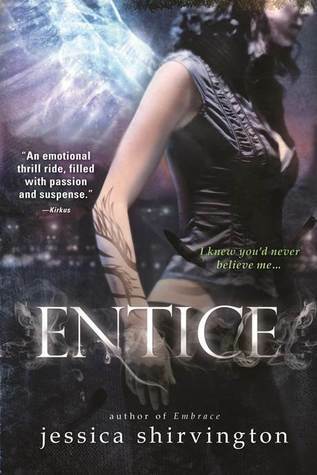 In Entice, she’s learned from past mistakes and is trying to deal with the aftermath. She’s finding her footing and learning more than ever; all with the help of her friends, new and old. She might have thought that she’s had a rough time recently, but she’s not out of the woods yet. I can see changes in Violet, she’s growing and learning that what she is and what she’s capable of is bigger than just her. It’s up to her to learn what she needs to do to help keep those around her safe and when Lincoln starts to go down a dark road she needs to figure out what she needs to do to make him see the light before it’s too late. I enjoyed this second book even more than the first. There were ups and downs and it was thrilling. We had a chance to learn more of the Grigori mythology, along with angels and exiles. It’s often that the second book in a series doesn’t live up to the first, but for me that just wasn’t the case. As often what happens to me when I find a book that I’m absorbed by, I can’t read fast enough because I want to find out what’s going to happen next, yet at the same time I don’t want to read it so quickly that it’s over in the blink of an eye. Which is exactly what happened with Entice – reading way too fast and quickly, hitting the end wondering what the heck just happened?! Some of the side characters in this book were highly entertaining. Including a new group that came into the mix to help teach and train Violet. I liked all their different personalities and to watch them all come together during some pretty rough times. I’m looking forward to spending more time with these newbie characters in the books to follow. And then some characters that I couldn’t stand in Embrace were there yet again making my jaw ache from gritting my teeth in frustration. All in all, Entice is thrilling, gripping and a bit emotional. Being one of the better series that centers on Angels, I’m ecstatic that I’ve found this series and I can’t wait for the next installment to be released here in the states in March of 2013 – Emblaze. I recommend this series to anyone who loves a great story about Angels or those who are looking to give a story about Angels a try. You won’t be disappointed! Enter to win a finished copy of BOTH EMBRACE and ENTICE!! One lucky winner will receive both titles! Thank to Sourcebooks for providing the two copies for this giveaway. If anyone has any questions, please check out my policy page or feel free to email. Thanks for visiting and entering and good luck to everyone! Synopsis: It starts with a whisper: "It's time for you to know who you are..."
Review: 4 Stars - Embrace, the first book in the Violet Eden Chapters by author Jessica Shirvington takes readers on a thrilling tale of fallen angels and the protectors of the world who hunt them. In the world Shirvington has created it’s a battle of good vs. evil and who will survive the war that’s been raging on for years. Violet is in for the shock of her life on the day she turns 17. She has no idea that she’s been part of a world she never knew existed and that she was living in. She’s more than just human, and she has a choice to make in Embracing her true self and becoming more. Much more. One thing about Violet is that she has plans for her life. She’s going to art school, spending time with her best friend and Lincoln who she’s become really close too. I liked that she is lighthearted, easy going and fun. Just as most teen girls should be. She lives a somewhat quiet life with just her friends and her dad, who happens to be more of the absent father type. Which pulls as my heart strings a bit because you know she wants more of a family relationship with her father, who doesn’t seem to get it at all. Lincoln is there for Violet in many ways. He helps her train and is a friend that she needed most. He’s always there for her. Violet has a bit more than just friendship feelings for Lincoln and it’s obvious he feels the same way, yet there’s a huge issue stopping these two from becoming more than just friends. While I did like Lincoln I felt he was a bit TOO overprotective with her and kind of dug himself a nice deep hole by not being more honest with her when she needed it the most. I also hated that he gave her such little info… kind of trickled it to her in bits and pieces. While I understand that’s how stories go, I feel that the trouble that Violet found herself in, which will echo on throughout the rest of the series was a huge part his fault. Phoenix is charismatic and sweet in his own way. He’s drawn to Violet and she to him. He promises her answers that she wants more than anything else and he’s willing to give them to her. She knows he’s not all he seems to be, yet the answers he holds are more tempting then her built in fight or flight feelings she gets whenever she’s around him. Is he bad or is he good? Does he have ulterior motives? You just can’t tell when it comes to him. The story and writing had bits and pieces here and there that were a tad on the slow side, but the rest of the story was highly entertaining and seemed to fly by! It’s the latter that made the slow side of things worth it for me. I found myself pretty invested in the story and the characters. I was eager to find out what was happening or what was right about to happen. By the end of the book I was pretty much hooked and was so thankful that I had the second book to start, which I did just as I finished Embrace. All in all Embrace, for me, is one of the better books with Angels featured in it. Angel books tend to be hit and miss for me and Embrace was without a doubt a hit. Shirvington’s angels and mythology were more than entertaining and often enough engrossing and captivating. 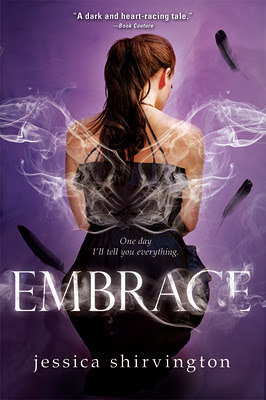 The characters were memorable and I am happy that I took the time out to read Embrace. In the end, I recommend this title to those who are looking for a good book with Angels and intriguing characters. Be prepared to be ready for Entice once you finish Embrace… as it’ll leave you wanting more. Enjoy. Review: 5 Stars - Onyx, the second book in the Lux series by the amazingly talented Jennifer L. Armentrout is another epic story in her fantastically popular Alien saga. There’s no question on why the Lux books have so many fans – with a group of characters that could be the girl and the alien next door (yes, I totally said alien next door) and the angsty, snarky-ness they each have… they’ll have you laughing one minute and swooning the next. Katy learned more about her neighbors than she ever thought possible in Obsidian and now in Onyx she has even more issues to deal with. One of the things I like most about her is that she’s real. There isn’t anything about her that’s fake. And at the end of Obsidian she has her mind set on one path and in Onyx she sets out to follow through. With bumps along the way and more trouble surrounding her than ever it’s time for Katy to face some things she’d rather… well not. And while I admire how honest she is, she makes some huge, massive even, errors in judgment. While I hated to see this happen and to see her have to deal with the aftermath of things, it just proves time and time again how normal she is as a female character. Also, all these issues she’s found herself forced to deal with shows just how amazingly strong she has become. Yeah, totally love Katy in case you can’t tell. Not to mention she’s a book blogger and that’s just the icing on the cake for me with her. Daemon is, well Daemon and yet, so UN-Daemon like at this same time. He’s 100% swoon worthy from the first book right on through to this one and Armentrout even finds a way to kick him up a notch with all the many layers that he is. We get to see such a different side of him and let me tell you… WOW! It’s always fascinating to me when you get a chance to see some huge changes in characters and how they grow from one book to the next, and I can’t wait to see what they’ll learn and what we’ll learn next about them. As for the writing and story for Onyx, it all picks up right where we were left in Obsidian. The characters all have to face some serious issues and holy cow, was there surprises around each corner and a HUGE MASSIVE cliffhanger ending that I literally groaned and might have even yelled “COME ON!” out loud which received me a few looks filled with stink eye. I love the flow of Armentrouts writing. Her storytelling never loses pace and keeps me completely captivated the whole time. It’s always sad when I find myself at the end of one of her books, yet it never surprises me because of how easily I’ve become lost within her stories. She’s a “go-to” author. If she writes it, I’ll read it. All in all, how the heck could anyone NOT love these books, these characters? The story alone is unique, the characters have such amazing personalities that you can’t and won’t forget about them anytime soon. Oh, how I love a great author and books that get people talking and the Lux series without a doubt has a lot of people talking. So, what the heck are you waiting for? Get yourself a set of the two books today. Reading one won’t be enough… trust me; you’ll want to dive right into Onyx after finishing Obsidian. Just trust me on this one; you’ll thank me for it later. I’d say Enjoy, but that’s a given.